The perfect solution for near-field & small mid-fields. Truly versatile… for small to mid-sized midfields. 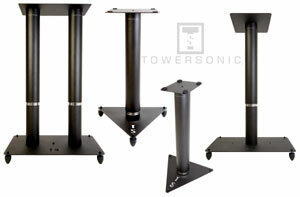 Rock solid and awesome towers for main audio monitors.